Should I Climate Controlled Storage Or Standard Storage? AllSafe Storage offers two options when it comes to storage types. 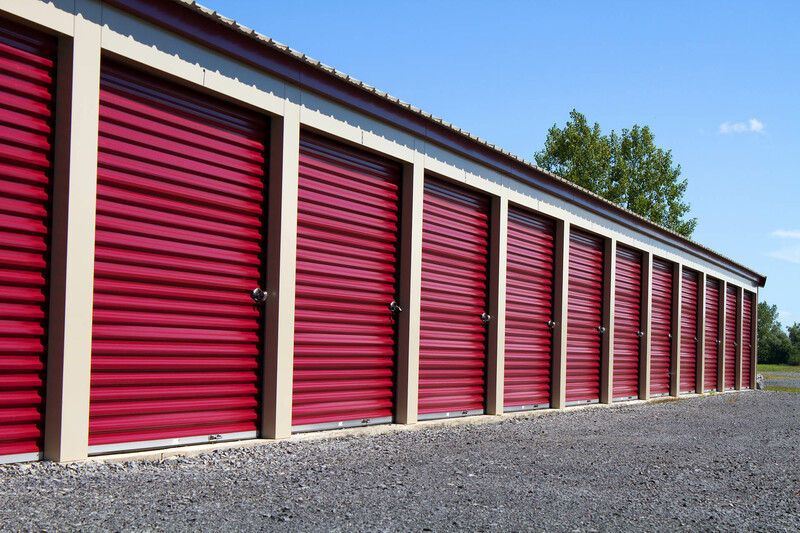 Standard storage units are an economical way to store items, while climate controlled units are a better choice for protecting items which may be sustainable to the extreme temperatures we often experience during the year in Cleveland, Tennessee. It’s important to choose the type of storage unite for your needs. There are some storage items which are fine being stored in a standard storage unit, but there are some items that should be stored in a climate controlled unit to help ensure the item remains in working order. When should I choose Climate Controlled Storage? There are certain items that are highly sensitive to temperature swings. The following items may help to serve as a guide when deciding the type of storage you need. Appliances – Household appliances contain wiring, motors and electrics that are very sensitive to moisture and extreme temperatures. Using climate controlled storage for these types of items will help protect those important parts from rusting, short circuits and malfunctions. Furniture – Wooden furniture can be sensitive to heat and cold. Items such as tables, chairs, dressers and wooden desks may experience damage when exposed to heat, cold and moisture. Household Electronics – Items such as computers, TVs and game systems should always be stored in a climate controlled unit to prevent damage. Art – Most photographs and paintings can easily be damaged by moisture and humidity. Musical Instruments – Many instruments are delicate and made from woods that do not tolerate moisture, dry air or extreme heat. These items can easily be damaged beyond repair in a non-climate controlled space. Whenever possible, consider using climate controlled for better protection while in storage. Storage Ideas: Chest of drawers, mattress set, sofa, dining room set, boxes bicycles, small yard equipment such as a push mower. Storage Ideas: A few large pieces of furniture, yard equipment, bicycle or motorcycle, larger children’s toys, or smaller furniture such as living room chairs or a small dining room set. Storage Ideas: Most of the items of a small one bedroom apartment excluding appliances, power equipment, shop tools, fishing and sporting equipment. Storage Ideas: Standard furnishings of a one bedroom apartment with some appliances, small boats, couches. Storage Ideas: Furnishings of a one bedroom apartment, including some major appliances, or some compact or full size vehicles, small to medium sized boats and king sized bed sets. Storage Ideas: Bicycles, power equipment, an ATV or small watercraft, a few small appliances. Storage Ideas: Furnishings of a one bedroom apartment, including some major appliances, multiple beds or couches, large home furnishings, and more. Storage Ideas: Standard furnishings of a 2-3 bedroom house with some major appliances, or some full size vehicles. Storage Ideas: Standard furnishings of a 2-3 bedroom house with most major appliances, or most full size vehicles. This unit is also a great choice for storing while moving or renovating a house or office. Storage Ideas: Chest of drawers, small mattress set, clothes, sofa, small dining room set, boxes and small items. Storage Ideas: Chest of drawers, mattress set, sofa, dining room set, boxes and small items. Storage Ideas: Standard furnishings of a one bedroom apartment without appliances. Storage Ideas: Standard furnishings of a one bedroom apartment with some appliances, or some compact vehicles. Storage Ideas: Standard furnishings of a 1-2 bedroom apartment with some major appliances.